Are you looking for a promotional product which delivers ultimate satisfaction and long term benefits? Perhaps your search ends here on these custom memo holders that offer immense satisfaction and high benefits for the investment done. These note holders will help users to organize customized memo notes in a way that it becomes easily visible, comes handy and serves as an asset to the table decoration. On buying these appealing customized memo holders from us, you are all set to enjoy benefits of free artwork & free online design proof, fast turnaround time, safe and secure shopping, etc. Highest quality and affordable prices are our exclusives that have helped us to score over other competitors. 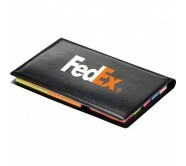 Our custom shaped memo holders easily strike with the crowd due to their appealing contour, durability and purpose. 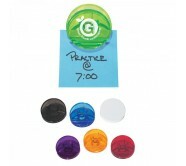 Any brand can make use of these trendy promotional tools and achieve scalable results in business. You can easily distribute these promotional memo holders on your next available promotional opportunity because it can be used in homes, schools and business organizations for managing memo notes. Even if there are many other sources of information management, people are sure to look out for things that gives them mental and emotional satisfaction, so it is likely that they will rely more and more on these imprinted note holders. When your recipients realize that you have offered them a product that helps them to reorganize and branch out effectively, it will do wonders for your brand. They will start taking you seriously and reconsider their buying decisions in your favor. Since these custom note holders are attractive, most of the recipients will proudly display it on their work tables and will discuss it with others too. 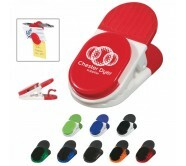 You can have a good look at all the value effective promotional note holders that Notepadsdirect.com has to offer. You can seek them in unique shapes, vibrant colors and get them customized with your brand credentials such as logo or slogan or any short contact detail such as web address or email. 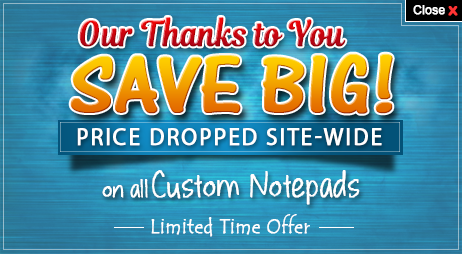 If you fail to find a custom memo holder which doesn’t meet your promotional requirements, feel free to reach out to us at 855-866-8372 or write to us at info@Notepadsdirect.com.